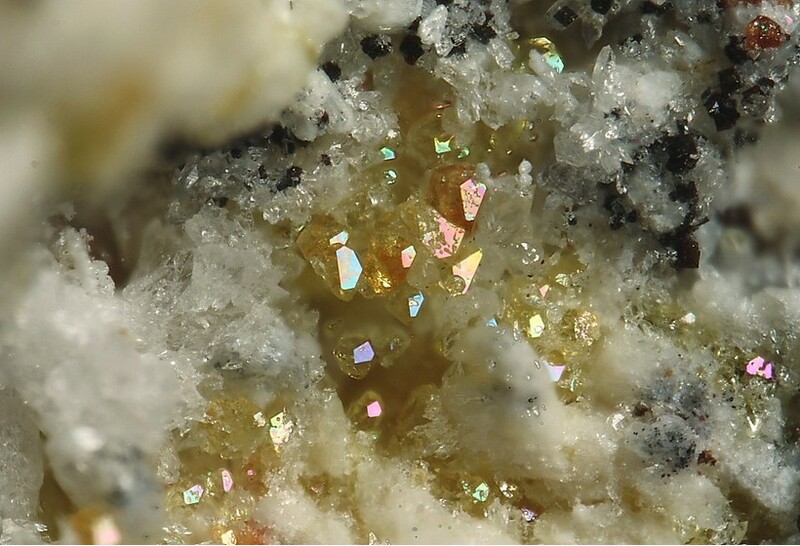 Wadalite: Mineral information, data and localities. 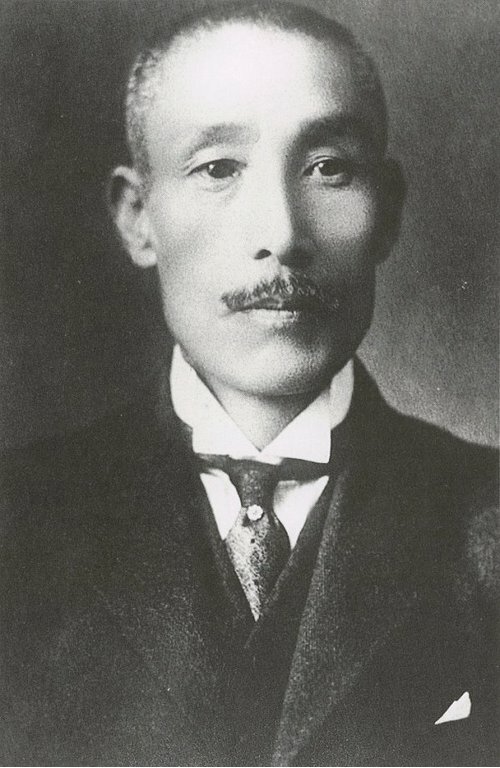 Named after Tsunashiro Wada (1856, Japan - 20 December 1920, Tokyo, Japan), the first director general of the Geological Survey of Japan. He also variously served as professor at the Faculty of Science of the Imperial University of Tokyo, as the director-general of Mining Affairs of the Ministry of Agriculture and Commerce and as the Commissioner of Steelworks. He helped to establish the modern study of mineralogy in Japan. Spinel 1 photo of Wadalite associated with Spinel on mindat.org. Feng, Q.L., Glasser, F.P., Howie, R.A., Lachowski, E.E. (1988) Chlorosilicate with the 12CaO.7Al2O3 structure and its relationship to garnet. Acta Crystallographica: C44: 589-92. Tsukimura, K., Kanazawa, Y., Aoki, M., Bunno, M. (1993) Structure of wadalite Ca6Al5Si2O16Cl3. Acta Crystallographica: C49: 205-207. Jambor, J.L., Vanko, D.A. (1993) New mineral names. American Mineralogist: 78: 1314-1319. Glasser, F.P. (1995) Comments on wadalite, Ca6Al5SiO16Cl3, and the structures of garnet, mayenite and calcium chlorosilicate. Addendum. Acta Crystallographica: C51: 340. Kanazawa, Y., Aoki, M., Takeda, H. (1997) Wadalite, rustumite, and spurrite from La Negra mine, Queretaro, Mexico. Chishitsu Chosasho Geppo: 48: 413-420. Kanazawa, Y., Aoki, M., Takeda, H. (1997) Wadalite, rustumite, and spurrite from La Negra mine, Queretaro, Mexico. Bulletin of the Geological Survey of Japan: 48: 413-420. Gottschalk, M. (1997) Internally consistent thermodynamic data for rock-forming minerals in the system SiO2-TiO2-Al2O3-CaO-MgO-FeO-K2O-Na2O-H2O-CO2. European Journal of Mineralogy: 9: 175-223. Bai, T.B., Koster van Groos, A.F. (1998) Phase relations in the system MgO-NaCl-H2O: The dehydroxylation of brucite in the presence of NaCl-H2O fluids. American Mineralogist: 83: 205-212. Jambor, J.L., Pertsev, N.N., Roberts, A.C. (1998) New mineral names. American Mineralogist: 83: 907-911. Fujita, S., Suzuki, K., Ohkawa, M., Shibasaki, Y., Mori, T. (2001) Reaction of hydrogrossular with hydrogen chloride gas at high temperature. Chemistry of Materials: 13: 2523-2527. Mihajlović, T., Lengauer, C.L., Ntaflos, T., Kolitsch, U., Tillmanns, E. (2004) Two new minerals rondorfite, Ca8Mg[SiO4]4Cl2, and almarudite, K(ٱ,Na)2(Mn,Fe,Mg)2(Be,Al)3[Si12O30], and a study of iron-rich wadalite, Ca12[(Al8Si4Fe2)O32]Cl6, from the Bellerberg (Bellberg) volcano, Eifel, Germany. Neues Jahrbuch für Mineralogie, Abhandlungen: 179: 265-294. Bailau, R., Galuskin, E.V., Gazeev, V.M., Pertzev, N.N. (2010) Classification and potential new minerals in the "mayenite" group. Acta Mineralogica Petrographica Abstract Series. 20th General Meeting of the International Mineralogical Association 21-27 August, 2010. Budapest, Hungary: 6: 493-493. 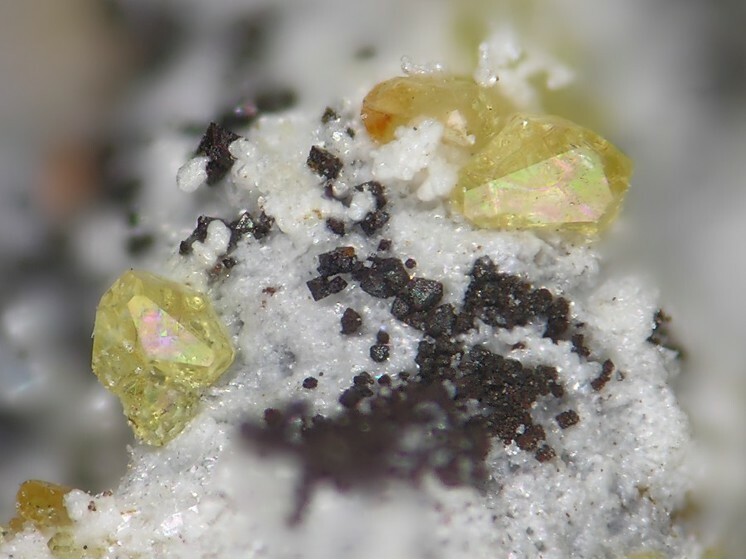 T. Mihajlović, C. L. Lengauer, T. Ntaflos, U. Kolitsch and E. Tillmanns (2004): Two new minerals rondorfite, Ca8Mg[SiO4]4Cl2, and almarudite, K(ٱ,Na)2(Mn,Fe,Mg)2(Be,Al)3[Si12O30], and a study of iron-rich wadalite, Ca12[(Al8Si4Fe2)O32]Cl6, from the Bellerberg (Bellberg) volcano, Eifel, Germany. N. Jahrb. Mineral. Abh. 179, 265-294. Sharygin, V. V. (2015). 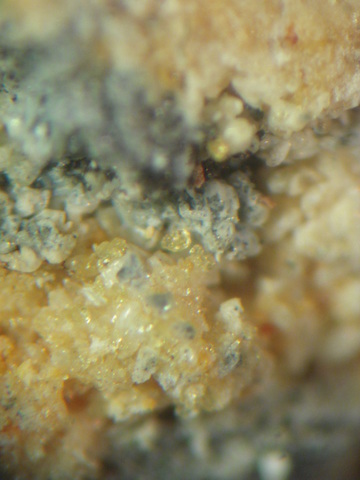 Mayenite-supergroup minerals from burned dump of the Chelyabinsk Coal Basin. Russian Geology and Geophysics, 56(11), 1603-1621. Galuskin, E.V., Galuskina, I.O., Kusz, J., Gfeller, F., Armbruster, T., Bailau, R., Dulski, M., Gazeev, V.M., Pertsev, N.N., Zadov, A.E., Dzieržanowski, P. (2015): Mayenite supergroup, part II: Chlorkyuygenite from Upper Chegem, northern Caucasus Kabardino-Balkaria, Russia, a new microporous mayenite supergroup mineral with “zeolitic” H2O. European Journal of Mineralogy. 27, 113-122; Bailau, R., Gałuskin, E. V., Gazeev, V. M., & Gałuskina, I. O. Raman investigation of potential new mineral-Fe 3-analogue of wadalite from calcareous-silicate xenoliths of the Upper Chegem caldera, Northern Caucasus, Russia. American Mineralogist, Volume 94, pages 1361–1370, 2009; . Galuskin, E.V., Galuskina, I.O., Gazeev, V.M., Dzierżanowski, P., Prusik, K., Pertsev, N.N., Zadov, A.E., Bailau, R., Gurbanov, A.G. (2011): Megawite, CaSnO3: a new perovskite-group mineral from skarns of the Upper Chegem caldera, Kabardino-Balkaria, Northern Caucasus, Russia. Mineralogical Magazine, 75, 2563-2572. Gałuskina, I.O., Gałuskin, E.V., Lazic, B., Armbruster, T., Dzierżanowski, P., Prusik, K., Wrzalik, R. (2010): Eringaite, Ca3Sc2(SiO4)3, a new mineral of the garnet group. Mineralogical Magazine, 74, 365-373. Galuskina, I.O., Krüger, B., Galuskin, E.V. ,Armbruster, T., Gazeev, V.M., Włodyka, R., Dulski, M. & Dzierżanowski, P. (2015): Fluorchegemite, Ca7(SiO4)3F2, a new mineral from the edgrewitebearing endoskarn zone of an altered xenolith in ignimbrites from Upper Chegem Caldera, Northern Caucasus, Kabardina-balkaria, Russia; Occurrence, crystal structure, and new data on the mineral assemblages. Canadian Mineralogist. 53, 325-344.; Środek, D., Juroszek, R., Krüger, H., Krüger, B., Galuskina, I., & Gazeev, V. (2018). New Occurrence of Rusinovite, Ca10 (Si2O7) 3Cl2: Composition, Structure and Raman Data of Rusinovite from Shadil-Khokh Volcano, South Ossetia and Bellerberg Volcano, Germany. Minerals, 8(9), 399.